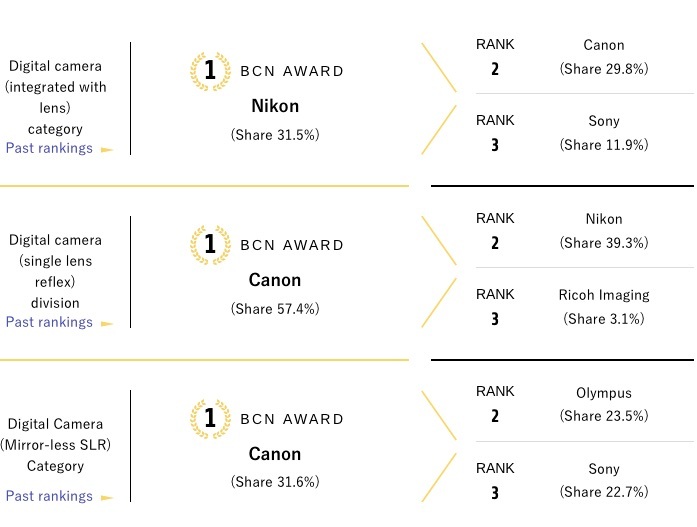 BCN posted their annual “BCN Awards” and look who is ranked on top for the mirrorless and DSLR market. It appears to be true that there is life in the old dog. 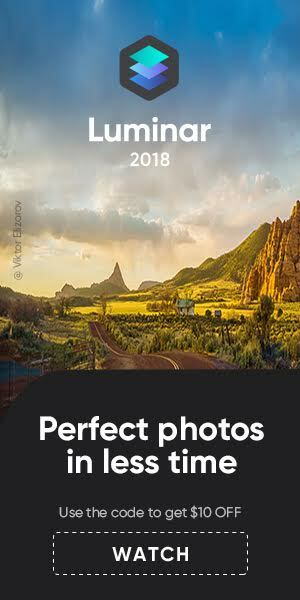 Canon ranks first for DSLR and mirrorless market shares in 2018. 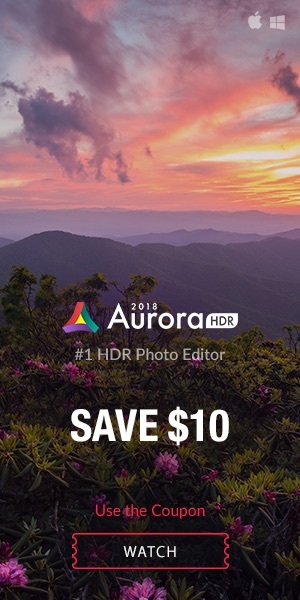 Canon’s success in the mirrorless market is mostly because of the commercial success of the EOS M50, and also to some minor degree thanks to the new EOS R. It’s interesting to see that Nikon doesn’t show up among the first three players in the MILC market. Surprisingly the so much touted Sony mirrorless systems are not getting that much love in Japan. Nikon still ranks first for compact cameras with 31.5%, followed by Canon with 29.8% and Sony with 11.9%. 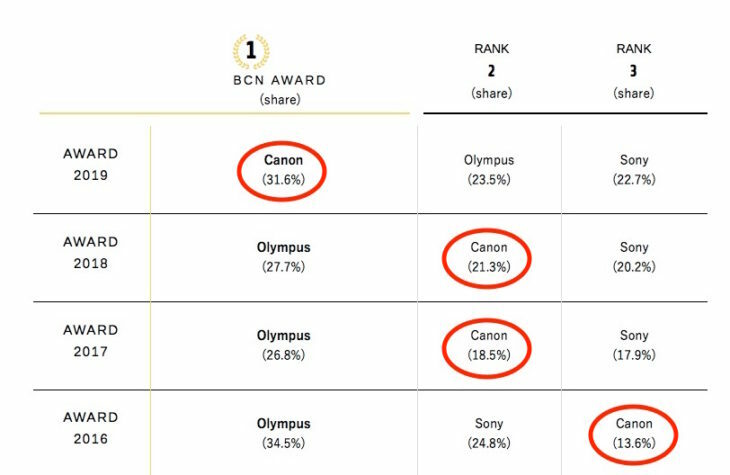 Canon also ranks first for sold lenses with 20.7%, followed by Sigma with 15.7% and Nikon with 13.7%. Below you see how Canon’s market share in the mirrorless market evolved since 2016. Not bad for a company so heavily criticised. I’m curios to know how much market share Canon will gain this year because they are clearly headed to lead the market. 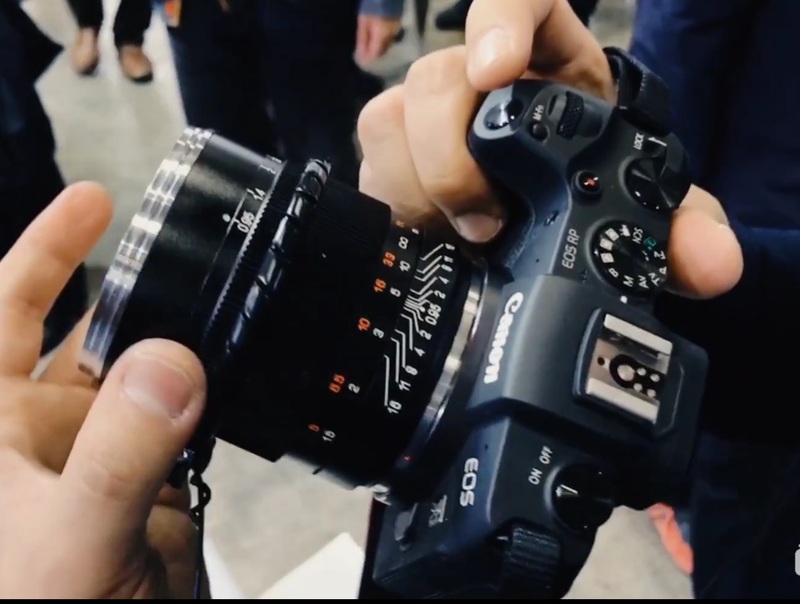 previous post: Canon Set To Shrink APS-C DSLR Line-up, One Model To Replace Both EOS 7D2 and 80D?